spring constants is so small, step 5 need not be taken. 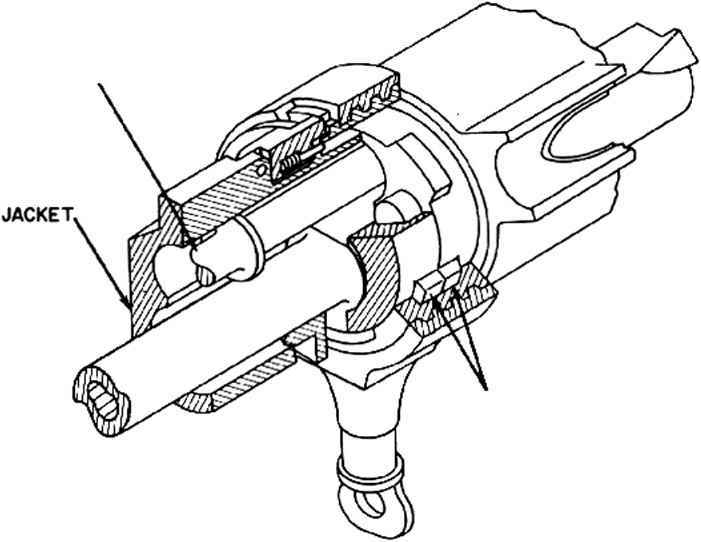 After unlocking occurs, the bolt and the barrel are independent of each other and each is affected only by its own spring. Since the bolt is unlocked, the barrel is no longer affected by the pressure of the powder gases and therefore its free recoil characteristic is to continue moving at the same velocity it had at the instant of unlocking. This is indicated in fig. 2-24 by the fact that the free barrel velocity curve after unlocking is a horizontal line.